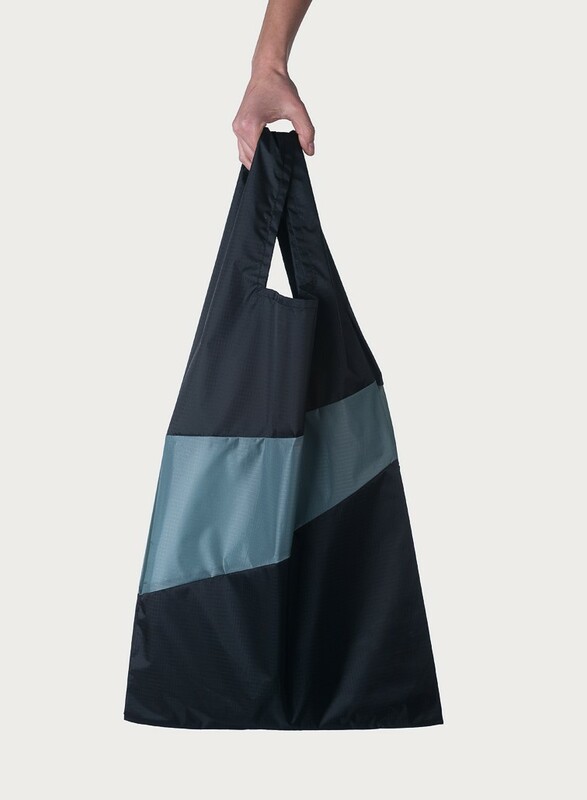 If you care about the environment, then get yourself a 'Susan Bijl' back to put in your handbag or the pocket of your jacket, so you never have to use disposable bags any more, which helps reduce the use of plastic. 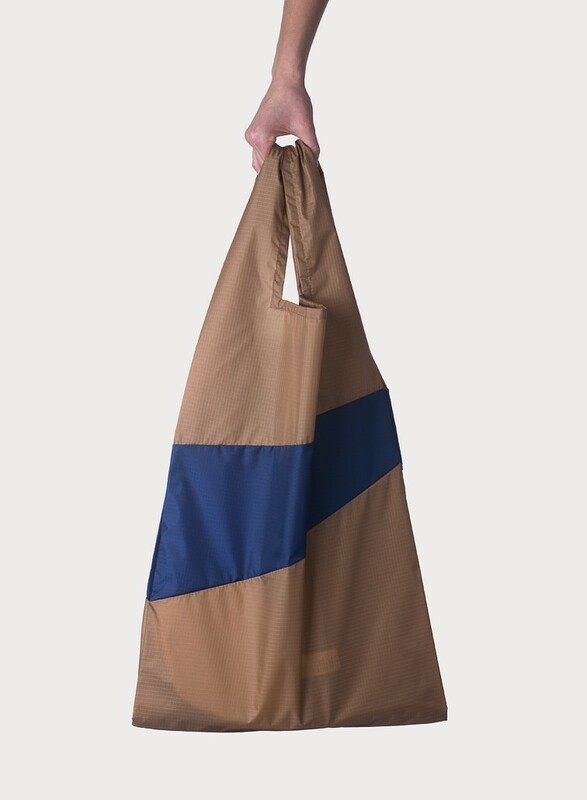 The collection of bags and sleeves is made of high end super strong ripstop nylon, which is also used for surfing, kit surfing, and tent fabric. This ripstop textile quality has a light weight, but there's hardly any wear and tear, which means it lasts a long time. The nylon absorbs colors really well, which means the fabric can come in the most vibrant colors. At the same time, it's water resistant so you don't have to worry about rain. 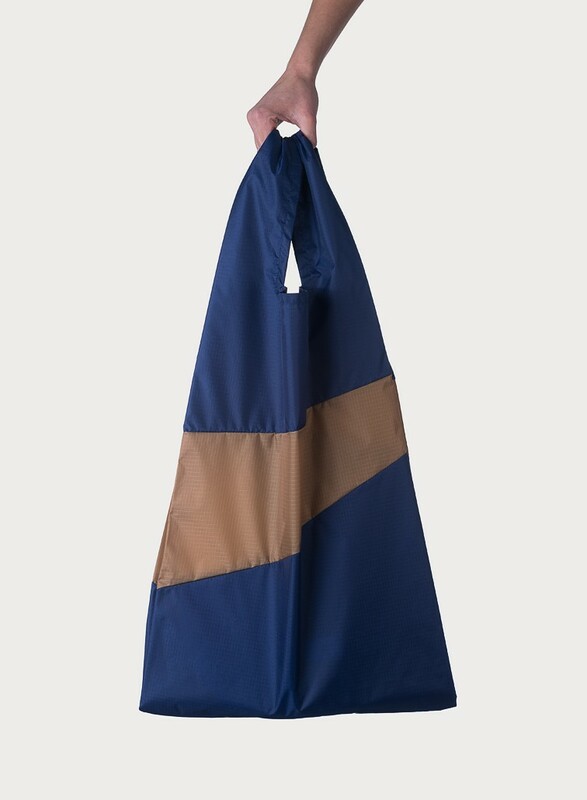 What is even more fun about these bags and pouches by Susan Bijl is that they have a stunning 'Nike-esque' diagonal stripe in a contrast color. The number of colors and color combinations is large. The Forever collection comes in many classic colors and color combinations: black with grey stripe, camel with blue stripe, blue with camel stripe, and beige with a blue stripe. Do you want to stand out? 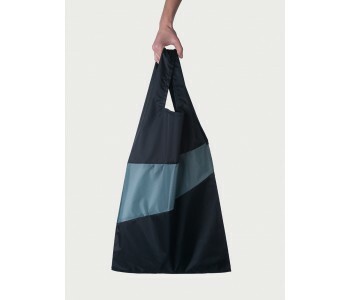 Then look at the New Shopping Bag Large in RGB colors.